this is not really a redskins thing so i apologise for that but i thought it might be of interest to some. as i have mentioned, i became a fan (obsessed?) with the skins when i lived in DC as a lawyer some three decades ago. a glorious time and one which did not occur to me would ever end. anyway, a large part of what i do these days involves wine and especially writing about it. so i get to all sorts of wine related events. currently down in mornington peninsula, a really good pinot and chardonnay region at the southern tip of mainland australia, about 2,000 miles south of where i live. every two years, they hold the Pinot celebration. Wonderful stuff. mostly aussies but also overseas winemakers and pinotphiles. Had a weird small world experience. it is all held in a hotel next to the ocean. get into a lift post lunch to duck up to the room for a few minutes. A couple, bit older than me, get in as well. We start yacking, small talk. Usual thing. Are you enjoying it etc? They ask where I am from? I ask them as they have north American accents (they are there as they import some aussie wines). I say I used to live in Virginia. We are all blown away, of course. Imagine the chances of that. They say they live in Arlington. I say I used to live in Arlington. In a lift in a hotel at the tip of the Mornington Peninsula. What are the odds? We all can’t believe it. So I say, yes, I really enjoyed living at 4111 Vacation Lane, Arlington. They stare at me. Yes, ‘we live in Vacation Lane’. And no, it was not the same house but about three houses along the road. we had a long chat. the lady was terrific - she is a skins fan. but the husband was a cowboys fan and apparently a fanatical one. nuff said. 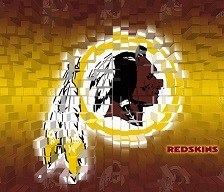 kbg wrote: this is not really a redskins thing so i apologise for that but i thought it might be of interest to some. Here's one (No Redskins connection- other than the folks were dedicated fans). Years ago I was an Army civilian working in Ludwigsburg Germany, north of Stuttgart, while Desert Storm was going on. Not long after, my folks came over to visit us for a week, just before my tour ended and I shipped back to the States. The little town I lived in for three years was named Kornwestheim. My folks were WWII generation and Dad had served in North Africa, so the whole week in Germany they had a vague feeling of being in "enemy territory" lol. But it was spring, things were blooming, and they got to see the three grandkids. A year later they happened to be on a company-sponsored group cruise in the Caribbean with Dad's retired General Electric coworkers: the group all sat together for meals and such. Maybe the second day, as my folks came in to sit down, the ship "captain" took the two of them aside and explained that there was this young couple from Germany on the cruise, but they knew no one and sat off by themselves- Might my folks be willing to sit at their table just to provide a little social company, maybe make their cruise a little more pleasant? Having been to Germany so recently, of course the folks said "Yes". The couple could speak some English and as my folks chatted them up, came to find out they were from Stuttgart. Well, not exactly Stuttgart; a place north of there called Ludwigsburg. Well, not Ludwigsburg, actually... a little town called Kornwestheim! You can imagine the couple's shock when Mom said, "Oh yes, why, we spent a week in Kornwesthem just last year"! So my folks made some new friends for a week, Mom had a new coincidence for her collection, and at 94 she still tells these sorts of stories with relish. Nice story. I was in a small remote village in Rhodes in 1993, September and as I walked down the street came across another Redskin fan with a burgundy cap. “Got a score on the Philly game?” This was pre internet, pre cell phone. I think we finally found a guy with a newspaper stand and paid $5 for a USAToday foreign paper, only to find out that Rypien and company were nearly shut out by the Eagles. Anyway instant bond with the fellow fan and I was amazed at how we spoke the language of “Redskins” on the other side of the world, so far from home. 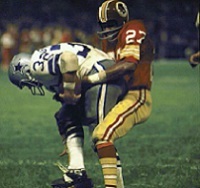 not quite the same thing but back in the no internet days, and this was just before i lived in DC and became a skins fan - i simply enjoyed the game in those days and had not formed any allegiances, although i am sure that i would have still had a hatred for dallas in my DNA - i was travelling on the back of a truck for 6-7 months through africa. knew the superbowl was on and had a close mate from denver. knew that they were in it and wanted to find a result. impossible. it was probably 5-6 weeks after the game when we were in Yaounde, capital of Cameroons. i happened across the US embassy and there was a marine on guard at the gates. now, after months in the bush and the sahara, despite best efforts, one did looked and smell a bit like we'd been dragged out of a drain. i asked the guard who won but he did not want to talk to me and kept telling me to take a hike. all i wanted was to know the score or who won. i did not even know who they were playing. my mate was so confident, i had little doubt that the broncos would have walked it in, which would have been nice for him. but this guard would not tell me. he got very narky about it. but i kept asking. finally, after about 20 minutes he eventually told me that denver had been thrashed. i was stunned. i don't think he even told me who won. just denver was thumped. i am certain he only did in the end so i would go away. to be honest, i did not believe him. thought he only told me that as i'd mentioned my friend and that i was keen to know. thought he was lying. it was only much later i was able to see a lot of the game - by now a skins fan, to the disgust of my friend - and i still enjoy watching highlights. still no idea why the marine thought it such a state secret and why it took so long for him to tell me. ^^^ all great stories, thank you for sharing. Mine isn't as exciting. 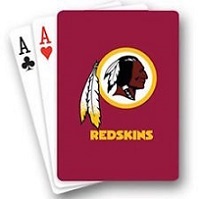 I became a Redskins fan in 1971 at the age of 5, we lived in upstate NY, Albany to be exact. This was mainly 80% Giants country, and 10% each of Jets and Bills fans. Back then, you couldnt pay anyone to be a Patriots fan....now they are swarming everywhere haha. Other than my dad ( because of me ), and the father of the guy who became my best friend a few years later...those were the only Redskins fans that I knew. Skipping to 1990, I ended up joining a travelling band..we did hotels, casinos, resorts etc etc. They were based out of Washington, DC. They had a record deal at one time but lost it, that's when I joined. Cool thing was that they were all Redskins fans. Now this was also at the end of the Redskins dynasty, but we did all get to enjoy that last SB season together. About 3 months before SB 26, we were gigging in Minneapolis. The TV crew doing the World Series was staying at our hotel ( Twins were in the WS ). We all became friendly. They were also going to be doing SB 26, and told us that if we were in town that they would get us in and be able to watch the game live with them in their area. Unfortunately our schedule had us elsewhere, but as a band we all sat together in the club we were playing at in Providence, RI and watched the game together. PS : 2nd small story. Some of you may recall that my brother-in-law used to coach for the Panthers, Broncos, and Bears. Well, he is currently the OL coach for the Birmingham Iron of the new AAF league. VegasSkinsFan wrote: ^^^ all great stories, thank you for sharing. Mine isn't as exciting. 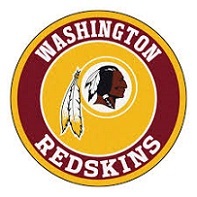 I became a Redskins fan in 1971 at the age of 5, we lived in upstate NY, Albany to be exact. This was mainly 80% Giants country, and 10% each of Jets and Bills fans. Back then, you couldnt pay anyone to be a Patriots fan....now they are swarming everywhere haha. Other than my dad ( because of me ), and the father of the guy who became my best friend a few years later...those were the only Redskins fans that I knew. I'm in Orlando and we have season tix for the Orlando Apollos coached by every Redskins favorite... Steve Spurrier. As we all know he didn't do to well for us, but The Apollos thumped the Atlanta Legends 40-6. Hopefully it will be a decent league to kill some time between NFL down time. Should be a good minor league for the NFL. 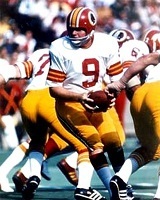 Skins-R-Us wrote: I'm in Orlando and we have season tix for the Orlando Apollos coached by every Redskins favorite... Steve Spurrier. As we all know he didn't do to well for us, but The Apollos thumped the Atlanta Legends 40-6. Hopefully it will be a decent league to kill some time between NFL down time. Should be a good minor league for the NFL. i saw where spurrier was having a bit of a dig at the skins after his game (think it part of this?). i know in jest but i still thought it was a bit rich. not as though he was not part of the problem. kbg wrote: i saw where spurrier was having a bit of a dig at the skins after his game (think it part of this?). i know in jest but i still thought it was a bit rich. not as though he was not part of the problem. not a fan of Spurrier then or now. He acts like he was innocent in how things went here..doucebag. I did see that Jay GRuden's son got arrested for being drunk in public. Also saw that CLE signed Kareem Hunt...can you imagine the outrage had we signed him. VegasSkinsFan wrote: not a fan of Spurrier then or now. He acts like he was innocent in how things went here..doucebag. I did see that Jay GRuden's son got arrested for being drunk in public. Also saw that CLE signed Kareem Hunt...can you imagine the outrage had we signed him. and rightly so. hard to see him playing this coming season. you have absolutely nailed how spurrier acts. like he got dragged into something against his will and has no responsibility. lost my respect. saw that about gruden's son. be very interesting to see what happens. like to think that someone will say, time to part ways, but i doubt it. as far as i know, he has little experience at this level outside working for his dad and i am not happy with that to start with - i say that as someone who went from uni to the law firm my dad ran, which was just expected in those days but in hindsight, it would have been so much better if i had gone elsewhere, got experience and proved myself, before going there, if i wanted to (and they wanted me). 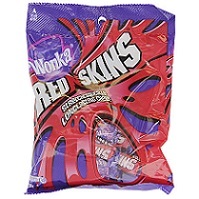 the skins should not be a creche or work experience for the family of the coaching staff. hard to believe that he could not have got a position elsewhere and proved himself. This is kinda funny, we went to a season ticket holders function for the Apollos in November were Spurrier would give like a 10 min speech and you would meet a couple players. So we went with another couple to check it out and it was at a pretty cool bar. We could care less about Spurrier didn't even listen to him. Then he disappeared. So my buddy was like come check out this cool section of the bar over here where they had some cool art work. So we walked through the door to the museum section and there was Spurrier and his group sitting at a chefs table for a private dinner. When h saw us he looked like he just ate a poop sandwich, like we were intruding in to see him. We said hi and walked right passed the group and looked at the art in the adjoining room. We could have cared less. LOL Next thing the manager comes over and tells us this is a private section and should have had a do not enter sign on the door. We said we were just looking at the art and we would leave in a couple minutes. He said no problem. But it was just hilarious to see Spurrier getting all worked up that we were invading his space and probably even worse that we didn't even care about him after the fact. He has some really bad hip issues seeing him walk onto the field Saturday.